With the onset of Winter many of my daily routines change a little including the obvious wardrobe update as well as my nail color choices, makeup picks and skin care regimen. The adjustment of my makeup looks is one in particular that I really have fun with. I sure love the glowing tanned natural looks for Spring & Summer but it's great to make use of those deeper richer shades when the cold months come around. One of the trends that comes into play and which I've mentioned before is the bold lip. It is something I have only recently begun to be comfortable with wearing myself but now I can't imagine how I ever did without. There are many reasons as to why a bold lip can be scary to some: 1) Some lipsticks do tend to transfer onto the teeth or bleed out onto the face which can be a little embarrassing when your out and about. 2) It takes time and technique to apply each time and get it just right. 3) Some people feel like they just don't look good in bold shades. Applying a bold lip does require plenty of patience in getting it just right. So what was it that helped me get more courageous with it/ what would I recommend to get comfortable with it? 1) Practice, practice and more practice at home before going out with it. When to do this? when there is lots of time and no place to go. Getting the technique just right is bound to happen in no time with lots of practice. 2) When just getting used to it, begin with wearing lip products that are a little more balmy, sheer and less pigmented, yet still introduce that pop of color. The Revlon lip butters are a fantastic choice. 3) If you feel these bolder lipsticks just don't suit your face or skin tone then I recommend going to a counter to have an expert test a few different shades on you. It may just take some getting used to or perhaps you may just be surprised with a color that goes beautifully with your skin tone. Look out for a post with tips on applying bold lips, coming soon! The purpose of this post is to tell you about some of my favorite bold lipsticks that I pretty much rotate between all winter long. If you read my blog often you will probably be accustomed with some of these already as I've mentioned them before. These are just the ones that I’ve had in my collection for ages and that never fail me but I am always in search of new ones to try. The Nars ones were highly recommended to me by a friend on facebook (Thanks Miry!). I can't wait to try those and any others that I hear good things about in the near future! This is a beautiful bright pink lipstick. It's very bold but not quite neon. It goes on creamy and smooth and has a slight pretty shimmer to it that reflects in light. It doesn't last as well as something with a matte finish but lasts long enough. This lipstick has an amazing red-orange undertone. It has a matte finish so it lasts really well. The only annoying thing is that it dries my lips out but with a lip balm to prepare I'm usually fine. Another fuchsia lipstick, but this one is a lot more matte the maybelline one. It lasts really well on the lips and has more of a purpley undertone to it. This one is the perfect bright plum/raisin shade. It has a glossy look but sits pretty matte on the lips without drying them out. It lasts alright if paired with a lipliner and blotted. This is one of the oldest red lipsticks in my collection. I own almost every lipstick from this specific line as I really love their consistency and lasting power. This one is a pretty, classic, bright red. I would say this is probably the boldest of all the ones above and I only wear it when I am going with a very light makeup look so that it doesn't overpower my face. Those are my most worn bold lipsticks at this time. Do you have a favorite bold lip product? Please let me know what it is in the comments below so that I can try it! 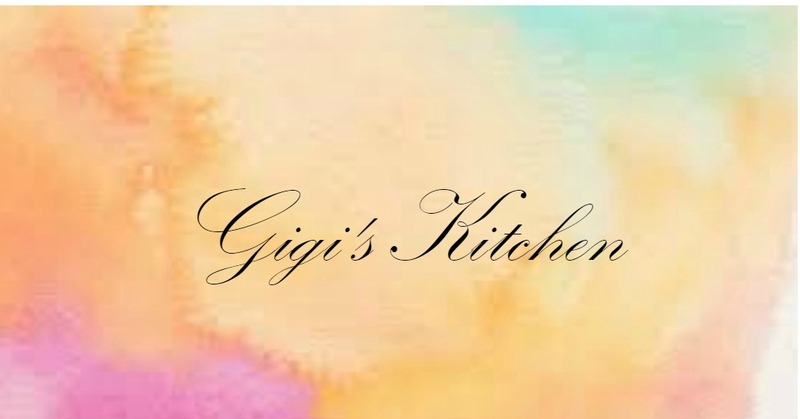 Subscribe with Google Friend Connect, Bloglovin and My RSS Feed (to get notifications by email) which are all located in the left side bar of my blog to keep up with what's going on at Gigi's Kitchen all the time. I just want to thank all of you who are already subscribed and who have subscribed recently, it truly means the world to me!